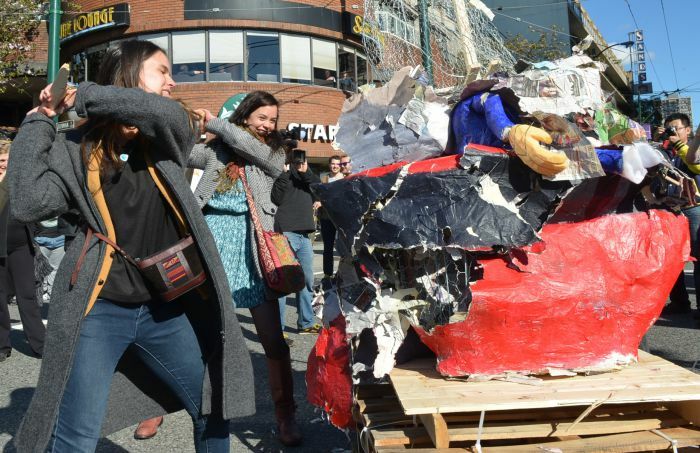 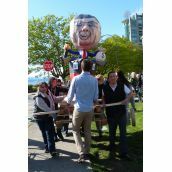 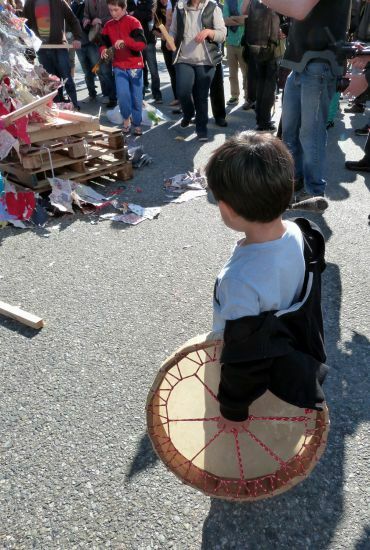 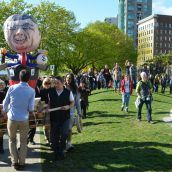 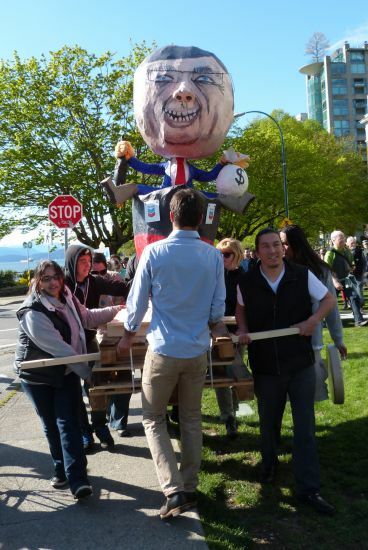 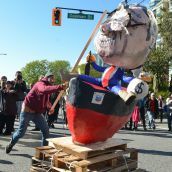 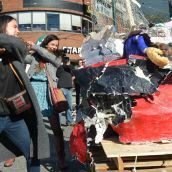 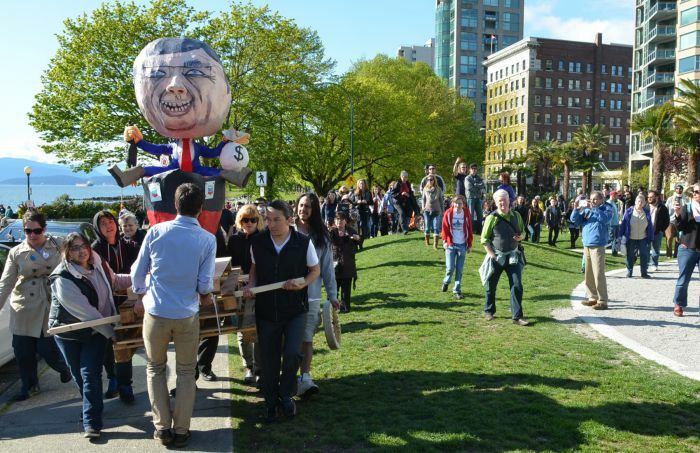 COAST SALISH TERRITORY - People gathered by English Bay Saturday afternoon for a noise demo and Stephen Harper effigy beating. 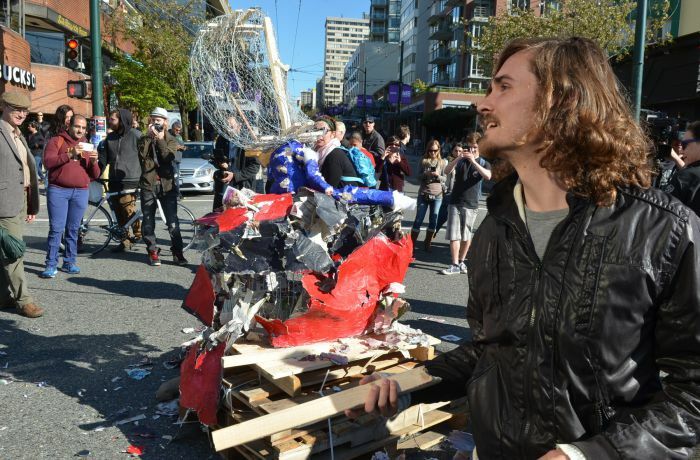 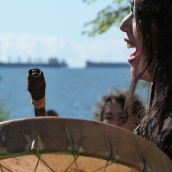 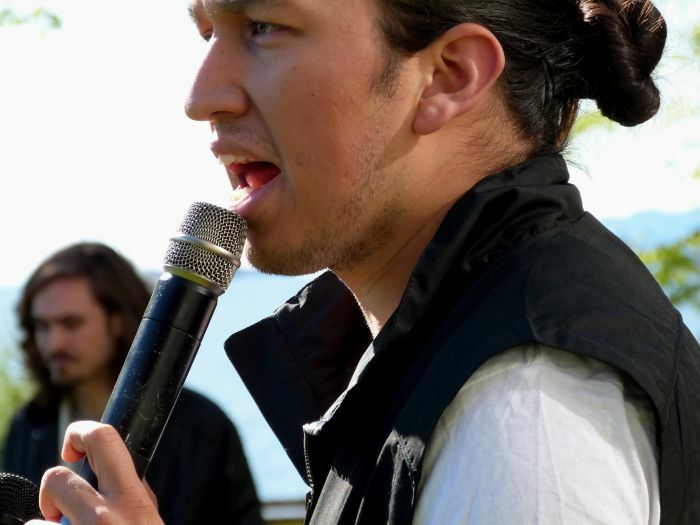 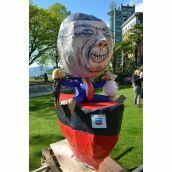 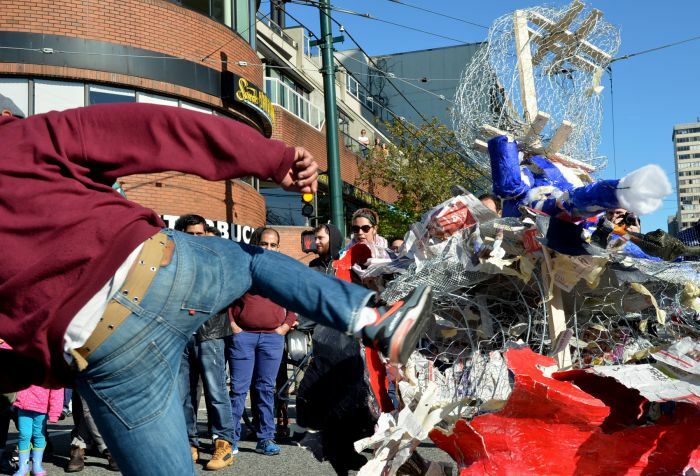 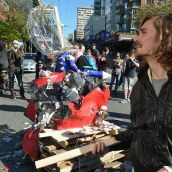 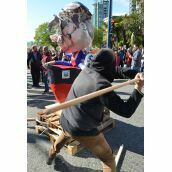 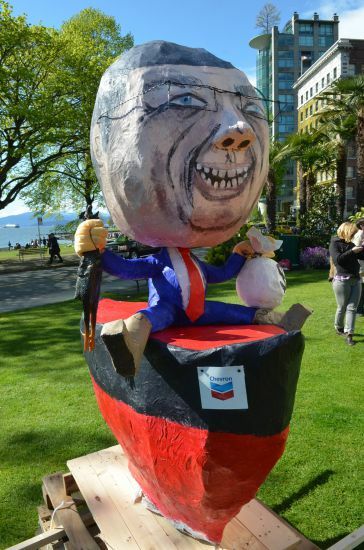 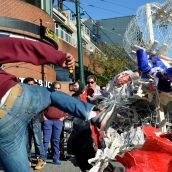 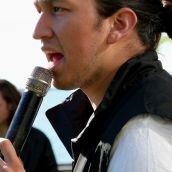 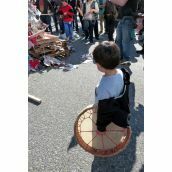 The event was a chance to let out some of the anger over the federal government's lame response to the recent toxic oil spill in Vancouver`s English Bay and continued pipeline plans. 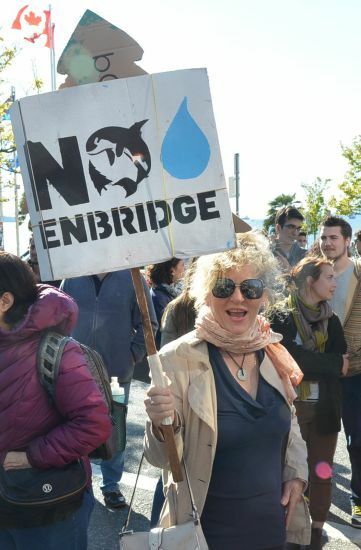 People were left swimming in oil-tainted waters while those in charge slowly, slowly figured out what to do in what should have been a rapid-response situation. 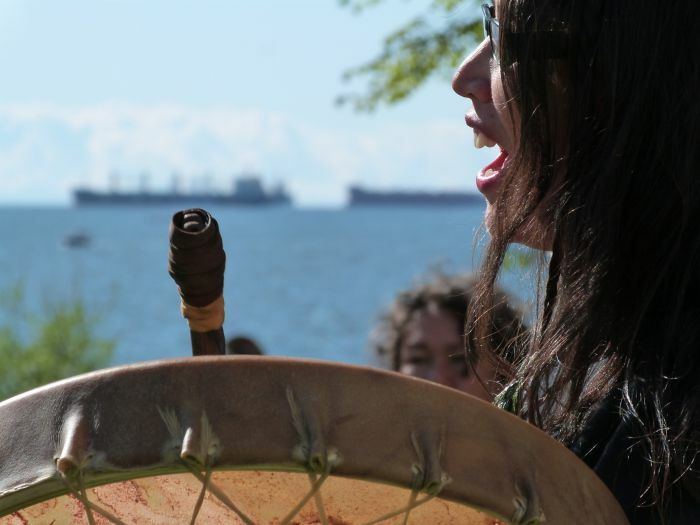 The Musqueam First Nation had to close their fishery due to this spill, and there's now a ban on fishing in the Burrard Inlet. 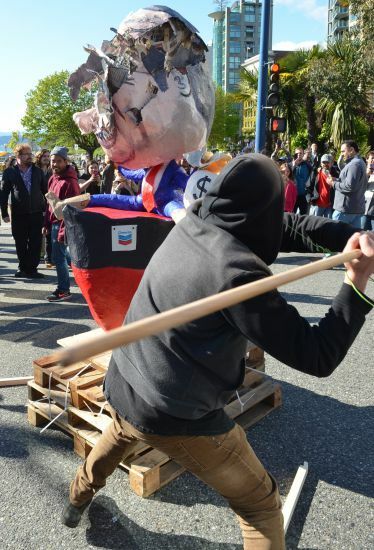 It's time to stop being polite. 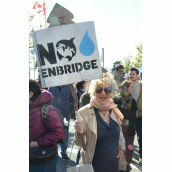 Kinder Morgan still wants to bring a new pipeline and 400 tankers a year to this town. 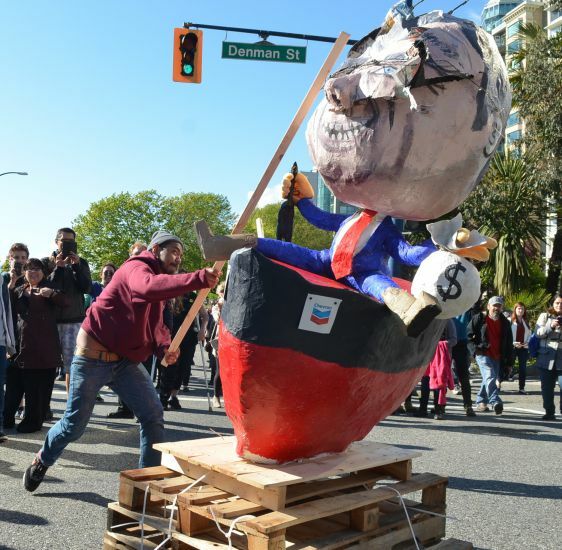 This is at the grave expense of Indigenous communities living near the tar sands, and everyone else caught in the oily web of capitalism and injustice that the Harper Administration works so hard to maintain.